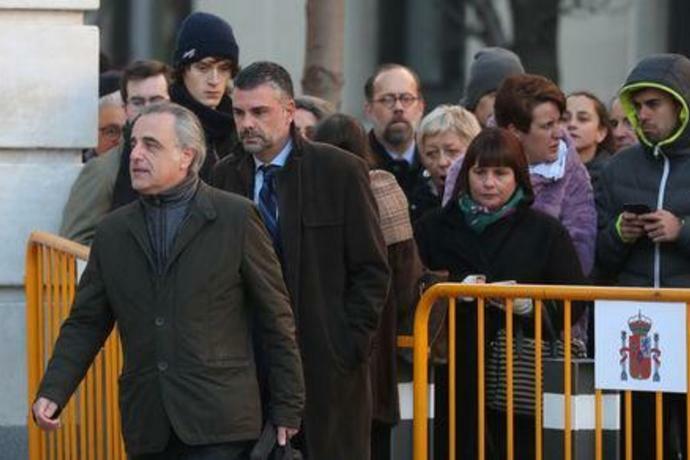 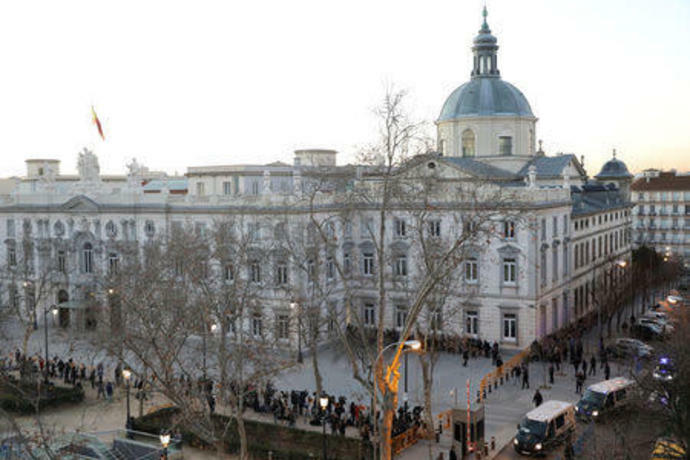 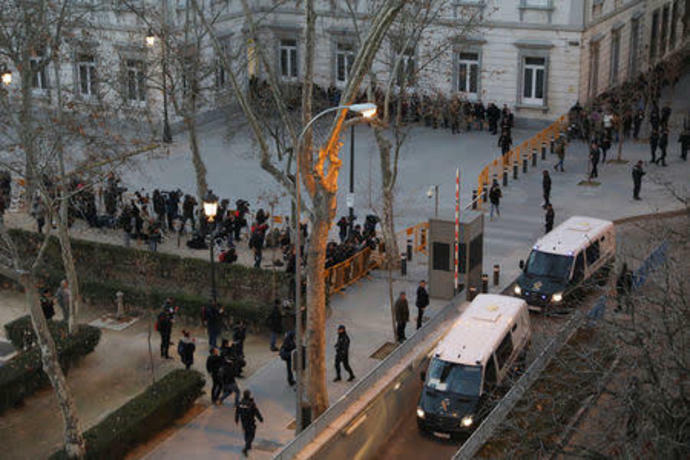 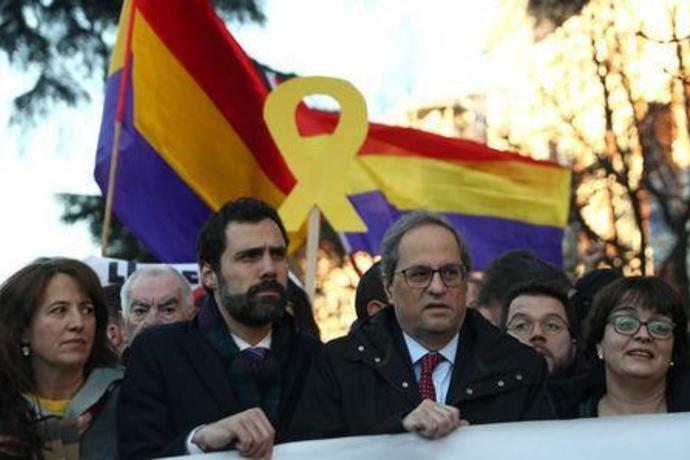 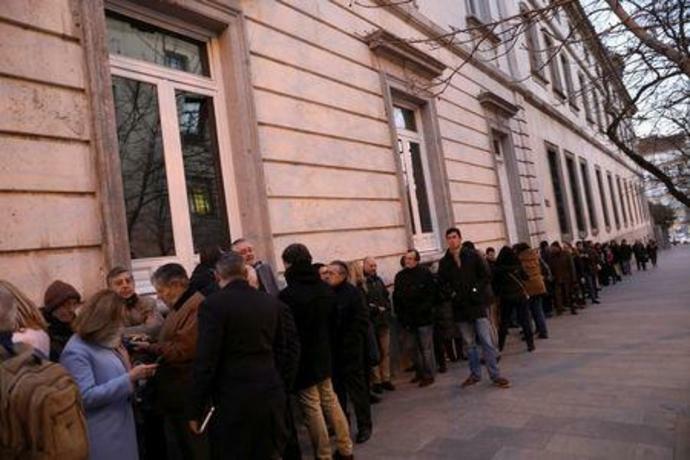 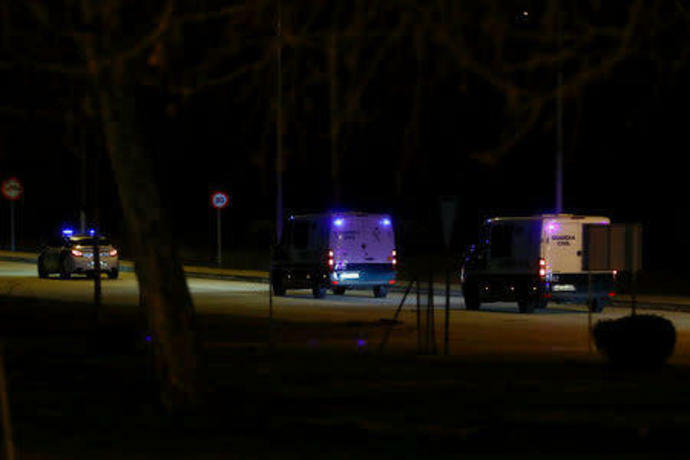 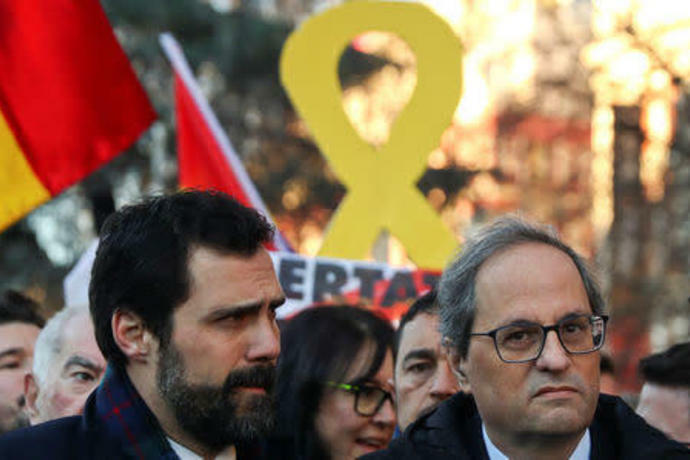 MADRID (Reuters) - The trial of 12 political leaders from the northeastern Spanish region of Catalonia began in Madrid on Tuesday as tensions rose between those supporting the defendants and the right to secession and those calling Spain to remain united. 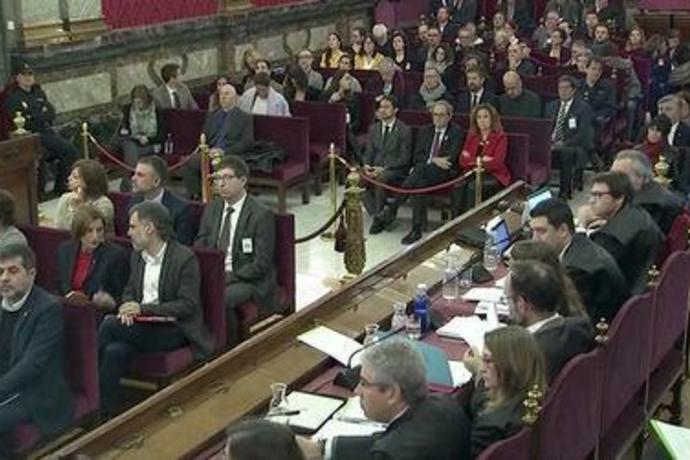 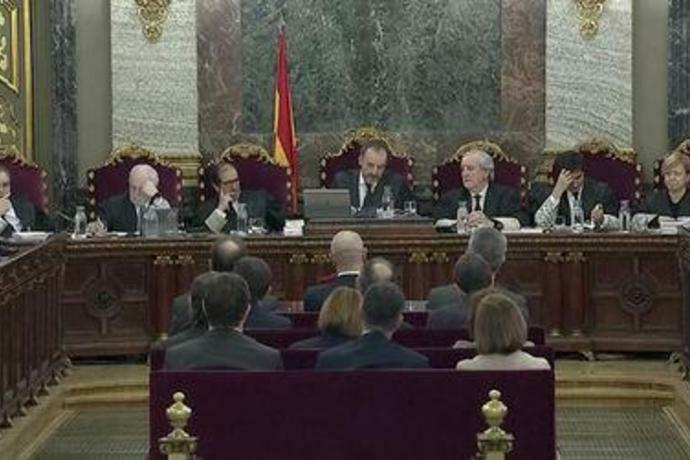 The defendants, facing charges of rebellion, sedition and misuse of public funds for their role in Catalonia's failed independence declaration, will not speak in the Supreme Court on the first day of the trial, which is reserved for procedural issues. 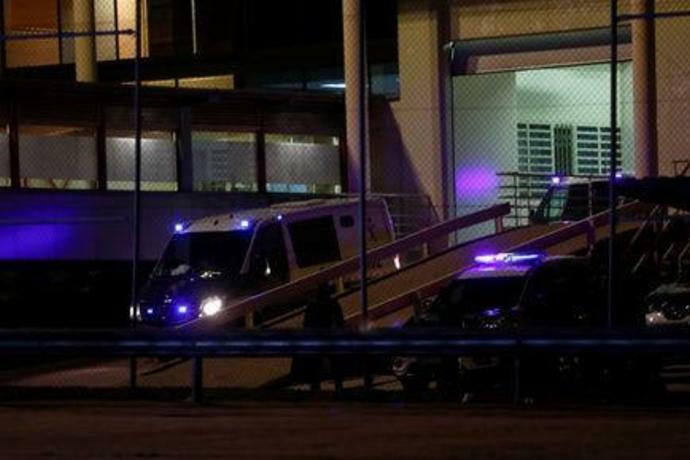 LIMA, Peru (AP) - Former Peruvian President Alan Garcia shot himself in the head and died Wednesday as officers waited to arrest him in a massive graft probe that has put the country's most prominent politicians behind bars and provoked a reckoning over corruption.